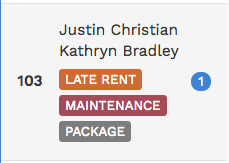 How do I know when residents have messaged me? 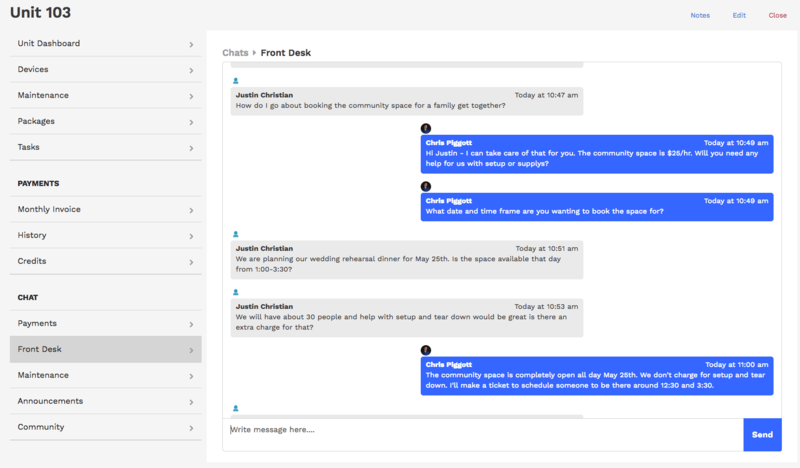 When a resident sends a message, notifications are displayed in the Unit List on the left side of the Community Manager, revealing a blue chat bubble icon. 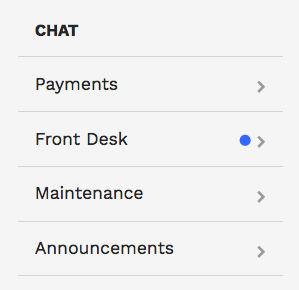 The corresponding chat channel then presents a blue dot within the Unit Details. Click on the chat channel to reveal and reply to the message.